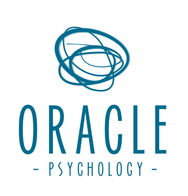 Daniel Wendt is a Clinical Psychologist and the Director of Oracle Psychology. He is a Member of the Australian Psychological Society (APS) and Fellow of the College of Clinical Psychologists. Child Psychologist Daniel Wendt commenced his professional career in the field of Education. While studying a Bachelor of Teaching/Bachelor of Arts, at the University of Newcastle, Daniel was employed as a School Learning Support Officer (SLSO) assisting students with Special Needs. After completing his teaching qualifications he was employed as a Primary School Teacher as a part of a Targeted Graduate Program and subsequently, as a School Psychologist and Counsellor on the Central Coast. Daniel pursued his interest in the field of Psychology, while working as a teacher, by completing a Graduate Diploma of Psychology at Charles Sturt University. He then undertook further study to expand his knowledge base and also holds a Postgraduate Diploma in Psychology from the University of Wollongong as well as a Masters in Psychology (Clinical Psychology) with Distinction from Charles Sturt University. Daniel has considerable experience in the assessment of Developmental Dyslexia, Pervasive Developmental Disorders (e.g. Autism Spectrum Disorders) and Attention Deficit Hyperactivity Disorder (ADHD). Daniel's practice centres on the assessment and ﻿treatment﻿ of children, adolescents, young adults and their respective families. Common areas of assessment and treatment include: learning difficulties, dyslexia, ADHD, intellectual disabilities, behavioural difficulties, attention and concentration difficulties, anxiety, depression, and conflict management. His educational background is a significant advantage in understanding and treating the needs of young people. Daniel is also very interested in the treatment of Mood and ﻿Anxiety﻿ Disorders using Cognitive Behaviour Therapy (CBT) and Interpersonal Psychotherapy (IPT). Additionally, he has a special interest and experience in working with children with an Autism Spectrum Disorder (ASD) diagnosis. In particular, he has considerable expertise in the application of emotion based social skills development to improve the interpersonal and intrapersonal functioning and well-being of young people. Daniel is proudly born and bred in the Lake Macquarie region and is pleased to be able to contribute professionally to the wellbeing of individuals in his local community.